What is the ideal hold time for stray cats at animal shelters? I am genuinely asking for the input of visitors. 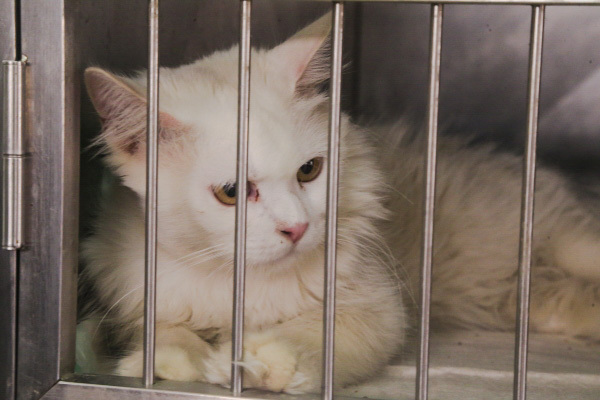 The New Erie County legislature passed a law last Thursday which shortens the hold time for stray cats at animal shelters before they can be adopted. 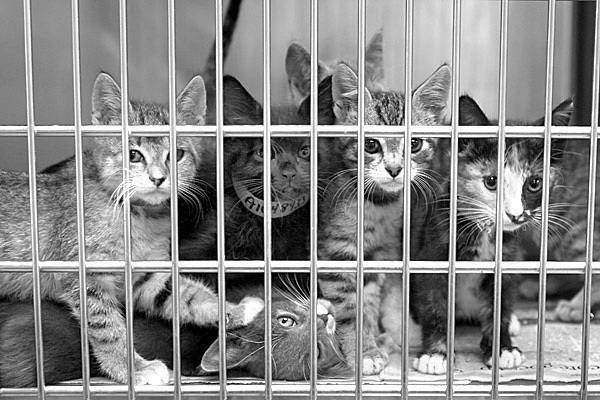 Previously their shelters were required to hold stray cats for at least five days before they were freed up for adoption. This has been reduced to 3 days. Beautiful shelter cat. Photo in public domain on timesofoman.com. Advocates of a shorter hold time say that the longer a cat stays at a shelter the greater the health risk and as the days progress the chances of adoption decrease. There is no doubt that this is a very fine balancing act between competing factors such as unnecessary euthanasia if no one claims or adopts a cat after a short stay and freeing up space at the shelter. It appears that some successful no-kill communities have low minimum stray hold times. For example, in Austin, Texas, they have a 93% save rate and a three-day stray hold period. The same statistics apply to Portland, Oregon. In Hamilton County, Indiana, they have a 90.3% save rate and a four-day stray hold time. In both Kansas City, Missouri and Boulder, Colorado, they have 93% save rates and five-day stray hold times (The Best Friends Blog). Clearly a longer hold time serves the interests of people who have lost their cat. It gives them more time to recover their cat from shelters. However, statistics indicate that just 1% of cats at shelters are claimed by their owners during day five through to day seven. 74% of dogs and 52% of cats are re-claimed in the first two days of their stray hold times (Milwaukee Area Domestic Animal Control Commission). These figures are no doubt not strictly applicable nationwide but they do give a good indication as to how owners reclaim their lost cats at shelters. Animal Shelter Cats. Photo: believed to be in public domain. The argument is that 99% of the reclaiming of cats occurs during the first four days of their hold time and that this statistic outweighs the negative impact upon the animals when they held longer, for up to 7 days. Chairman Peter Savage, D-Buffalo, the new law’s sponsor of the Erie County Legislature’s shortened wait time of three days said that he is very pleased because it will allow the county to better manage the stray cat population and allow the SPCA and other area shelters to provide cats to families in a more efficient and healthy manner. Do you agree? The story is interesting because I can remember several articles on this website about shelters which had six-day hold times but where cats were euthanised before the six days were up. There was uproar (and rightly so). We’re back to this difficult question of finding the optimum whole time in the interest of the cats’ health and welfare. It’s a balance based upon the shelter’s capacity, facilities and ability to keep the cats healthy and well against the rights of cat owners to be able to reclaim and be reunited with their lost cats. Home→Animal Rescue→Cat shelters→What is the ideal hold time for stray cats at animal shelters? This entry was posted in Cat shelters and tagged animal shelters, cat reunited with owner, cat shelters, stray cats by Michael Broad. Bookmark the permalink.